The White House on Wednesday ended a long-standing ban on tourists taking photos or using social media during public tours of the building. Michelle Obama made the announcement in a video posted on her Instagram account. The White House said the more than 40-year-old photo ban was lifted because changes in camera technology make it possible to take high-quality photos using less light. Strong light can damage the delicate pigments used in art work. 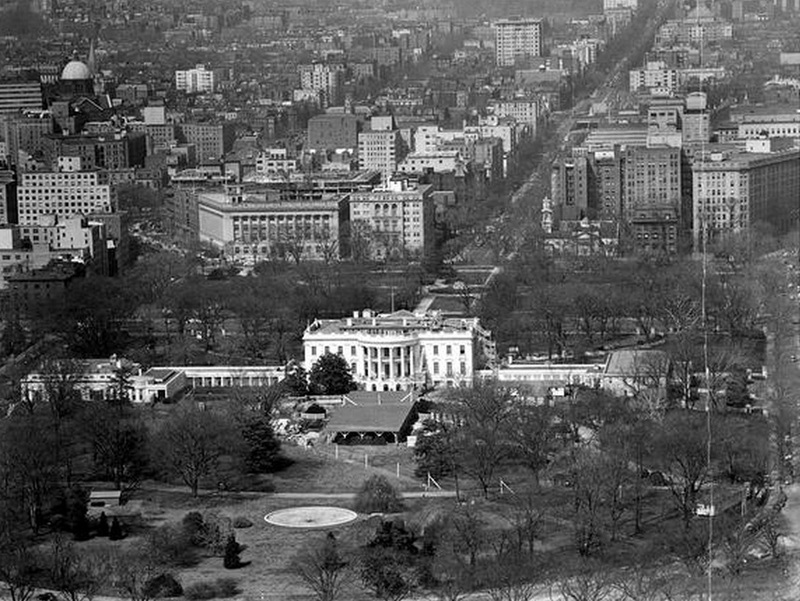 Our first president, George Washington, selected the site for the White House in 1791. 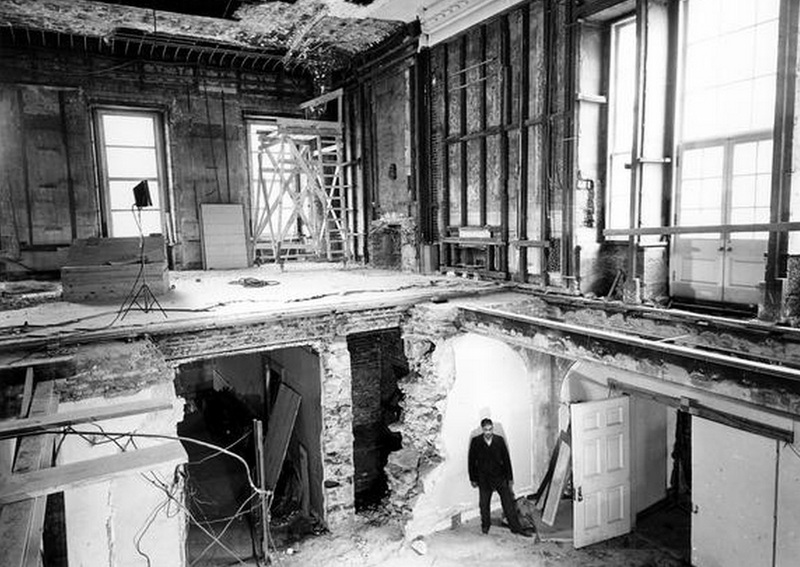 The cornerstone was laid in 1792 and a competition design submitted by Irish-born architect James Hoban was chosen. 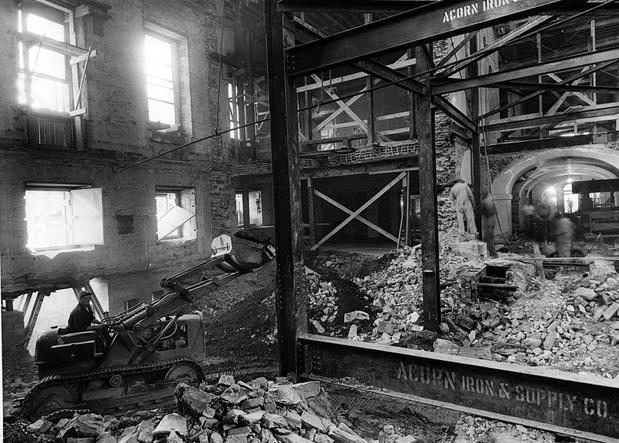 After eight years of construction, President John Adams and his wife, Abigail, moved into the unfinished house in 1800. 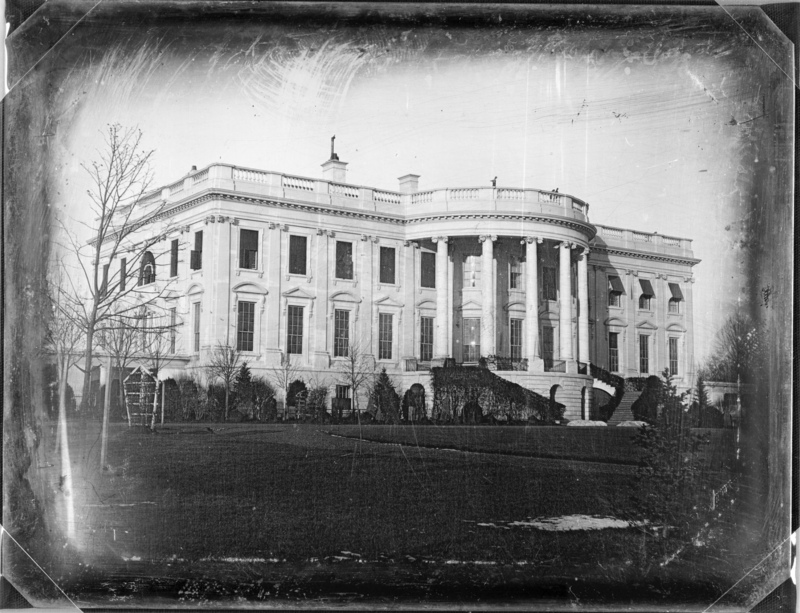 During the War of 1812, the British set fire to the President’s House in 1814. 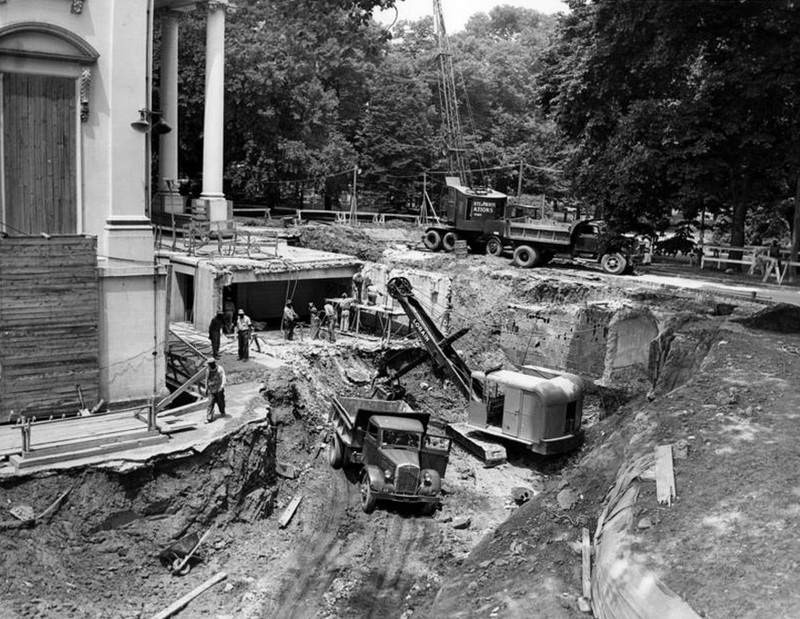 James Hoban was appointed to rebuild the house, and President James Monroe moved into the building in 1817. During Monroe’s administration, the South Portico was constructed in 1824, and Andrew Jackson oversaw the addition of the North Portico in 1829. 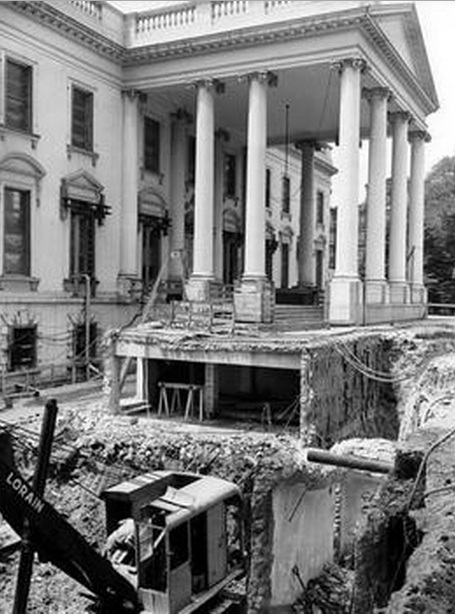 During the late 19th century, various proposals were made to significantly expand the President’s House or to build an entirely new house for the president, but these plans were never realized. 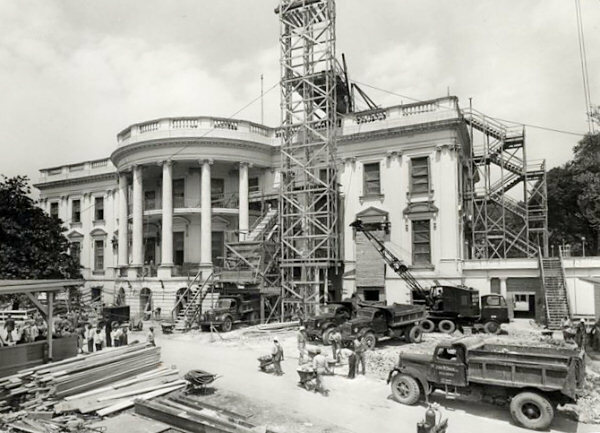 In 1902, President Theodore Roosevelt began a major renovation of the White House, including the relocation of the president’s offices from the Second Floor of the Residence to the newly constructed temporary Executive Office Building (now known as the West Wing). 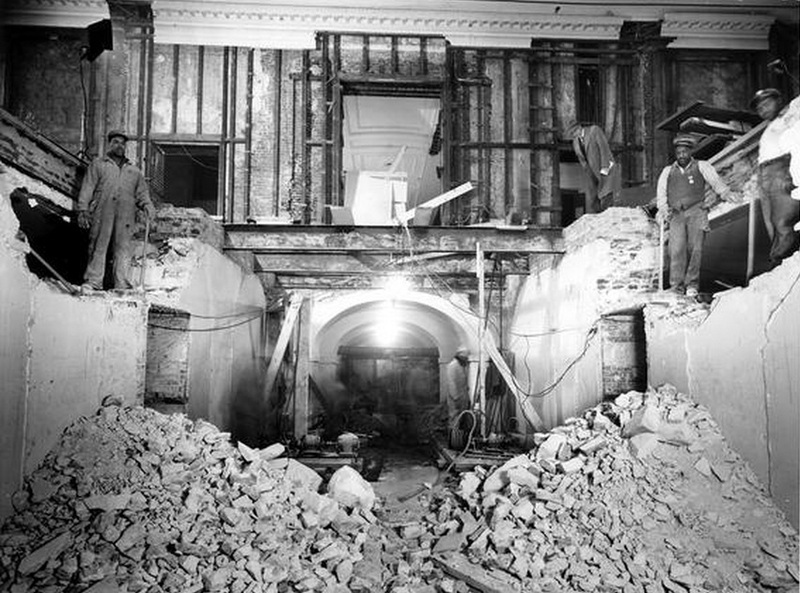 The Roosevelt renovation was planned and carried out by the famous New York architectural firm McKim, Mead and White. 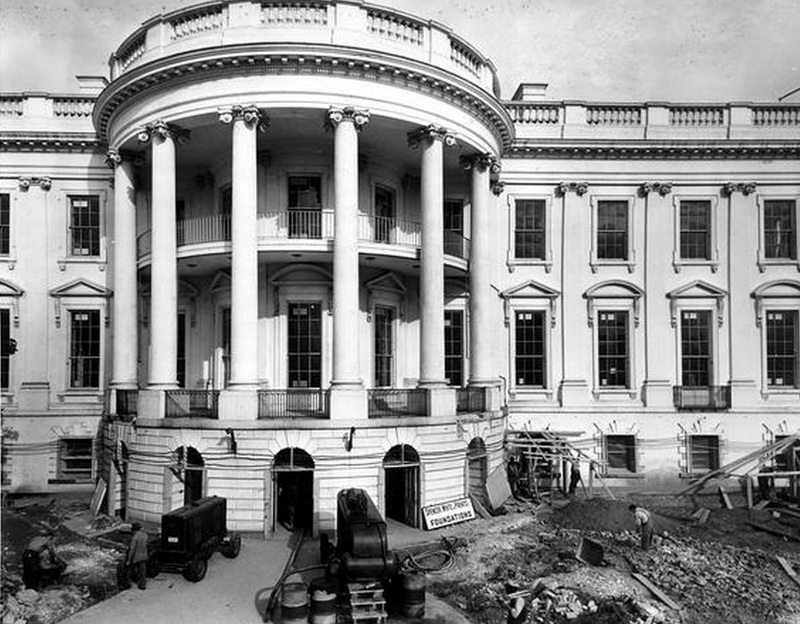 Roosevelt’s successor, President William Howard Taft, had the Oval Office constructed within an enlarged office wing. 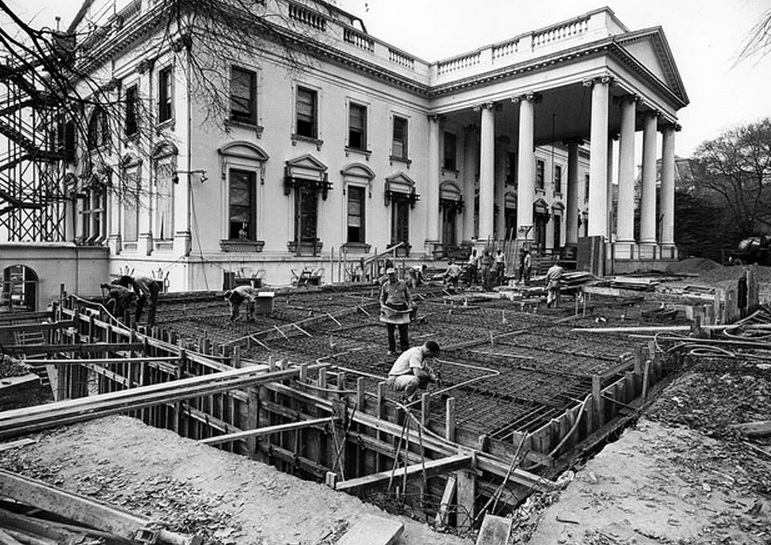 Less than fifty years after the Roosevelt renovation, the White House was showing signs of serious structural weakness. 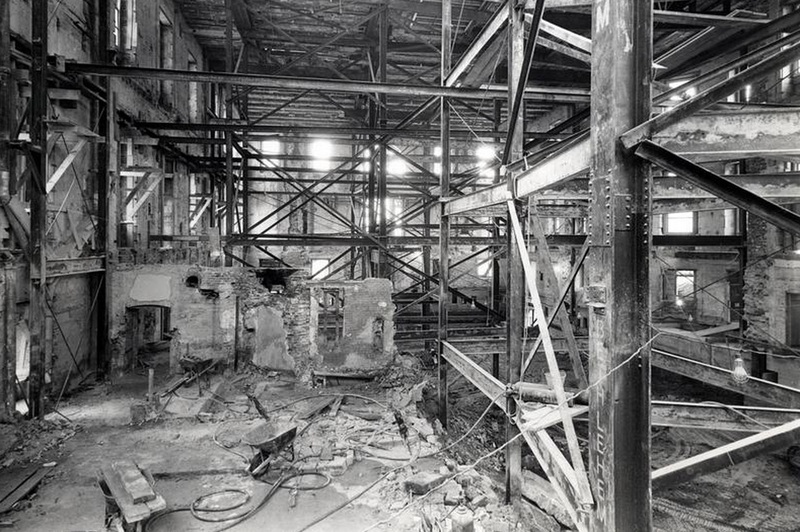 President Harry S. Truman began a renovation of the building in which everything but the outer walls were dismantled. 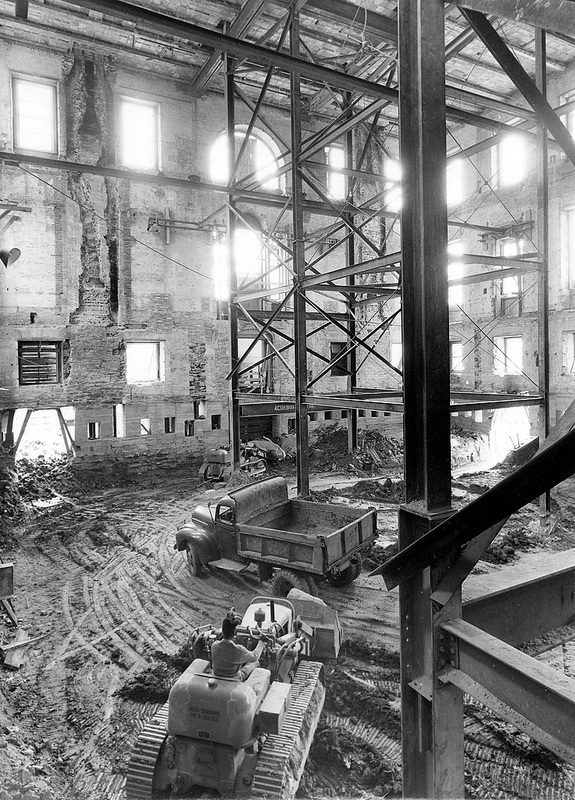 The reconstruction was overseen by architect Lorenzo Winslow, and the Truman family moved back into the White House in 1952. There are 132 rooms, 35 bathrooms, and 6 levels in the Residence. 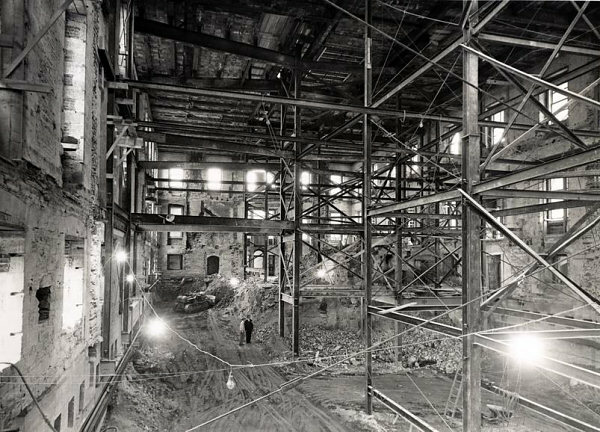 There are also 412 doors, 147 windows, 28 fireplaces, 8 staircases, and 3 elevators. 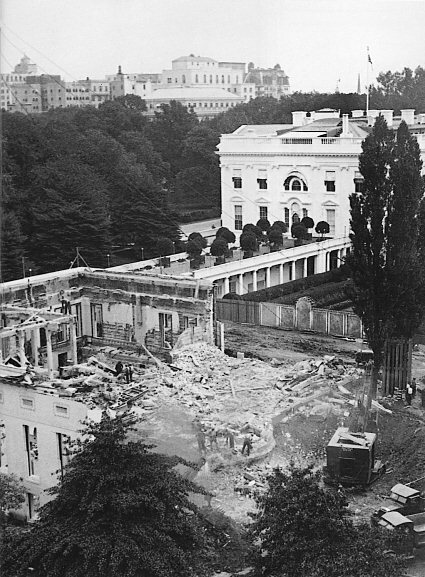 At various times in history, the White House has been known as the “President’s Palace,” the “President’s House,” and the “Executive Mansion.” President Theodore Roosevelt officially gave the White House its current name in 1901. Presidential Firsts while in office… President James Polk (1845-49) was the first President to have his photograph taken… President Theodore Roosevelt (1901-09) was not only the first President to ride in an automobile, but also the first President to travel outside the country when he visited Panama… President Franklin Roosevelt (1933-45) was the first President to ride in an airplane. The White House kitchen is able to serve dinner to as many as 140 guests and hors d’oeuvres to more than 1,000. 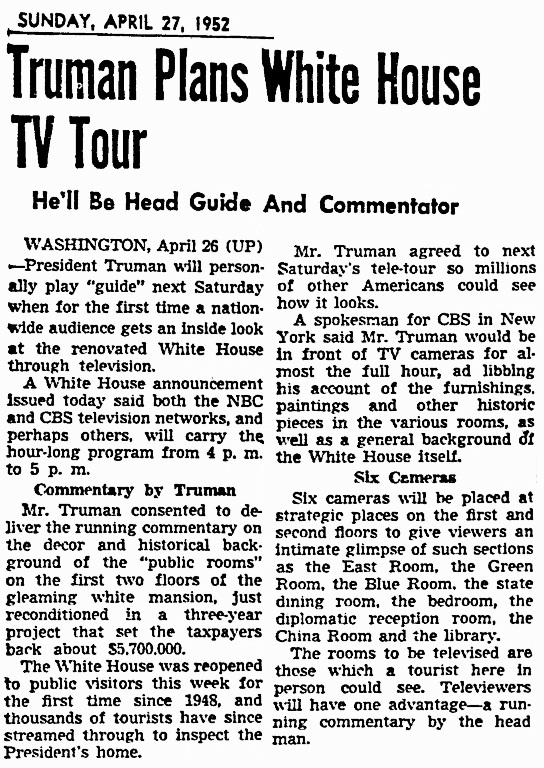 The White House requires 570 gallons of paint to cover its outside surface. 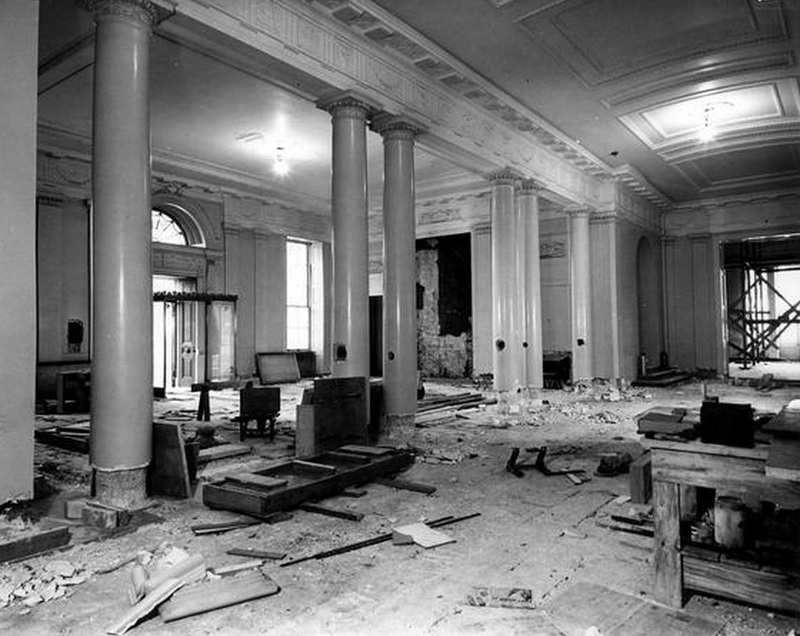 When President Harry S. Truman moved into the White House, it was in horrible condition.